With this job type, you can execute a job from another Integrator project as a sub-job, which allows you to split Integrator logic into several projects and execute them together in one central job. Predefined jobs from other Integrator projects can be used. 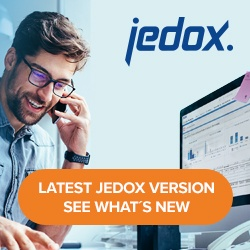 The project must be defined and stored in the same Jedox installation. The user must have sufficient authorizations to execute jobs in the external Integrator project. Name of the Integrator project. Name of the job inside of this Integrator project. In an external job, it is possible to set values for the variables of the external project. The job in the external project is then executed with these variable values. For all variables in the external project that are NOT set explicitly in the calling job, the variable default values inside of the external project (or, if set, the variable values of the called job) are used.